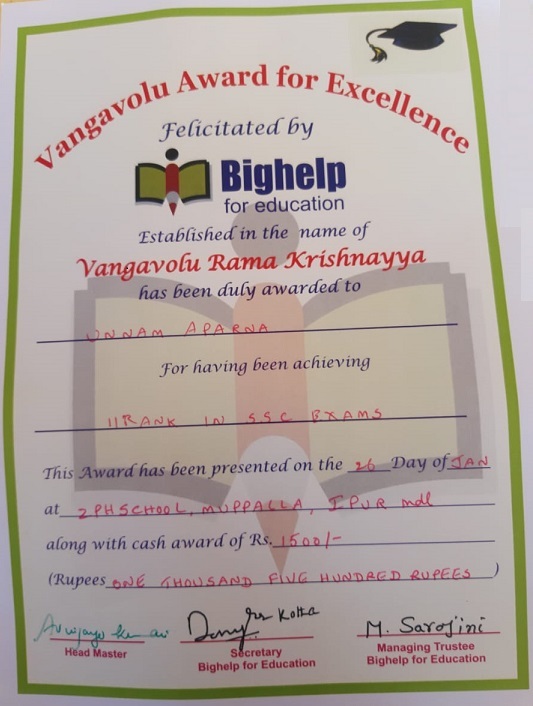 This Merit award has been established by Mr.Rama Krishnaiah Vangavolu to foster a competitive spirit among students studying in Zilla Parishad High School A.Muppalla, Epur Mandal,Guntur District of Andhra Pradesh. This award considers all students equally irrespective of their individual financial strength, cast or religion. This endeavor sends a message among all students that every child is capable of achieving highest rank regardless of their school, gender, class, race, religion or disability. This award carries a cash prize of Rs.4000 every year which is given to students that score highest marks in 10th class in the school. The first prize carries a cash award of Rs.2500 and the second prize Rs.1500. A certificate also presented to the winning students. Award is presented to the winners on 26th January every year. 1. Zilla Parishad High School, A.Muppalla. 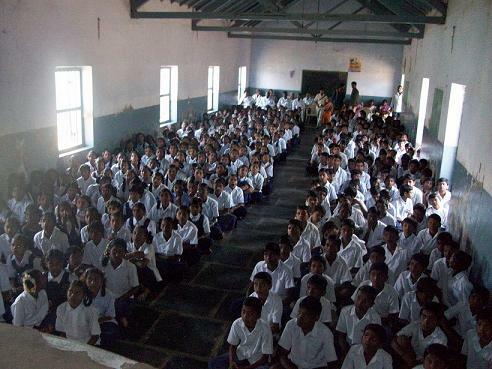 The Zilla Parishad High school formerly called as Mahatma Gandhi High School which was located in A.Muppalla Village near about 57 KMS away from Guntur. There is no direct transport facility to the village from District head quarters. The school consisting 530 students in 6th to 10th classes. The school is governed by one H.M. and 18 teachers. The school also having a Computer room with 10 computers. Computer facalty also provided by the Management. All the students are being trained basically. The Merit award program was conducted in Zilla Parishad High School premises on 26-Jan-10 in the eve of Republicday celebration.All the local leaders invited for the Merit award function. 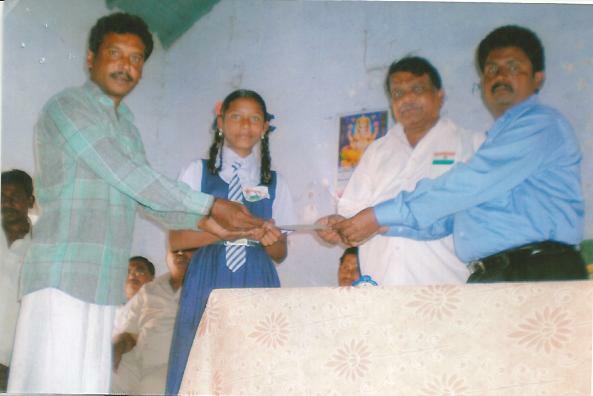 K.Soujanya 1st rank holder has been facilitated with certificate and cash award by Sri. Anjaneyulu Surpanch. 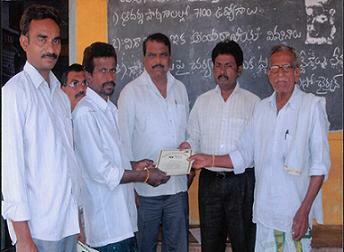 M.Rama Krishna 2nd rank holder has been facilitated with certificate and cash award by Sri. V.Narasimhaiah . 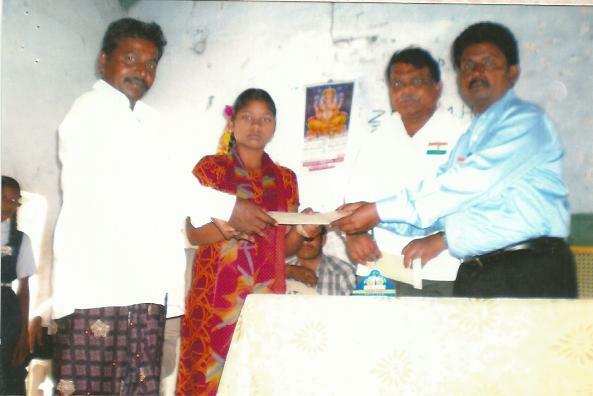 M.Vanaja 2nd rank holder has been facilitated with certificate and cash award by Sri. Chandar Rao MPTC Member. 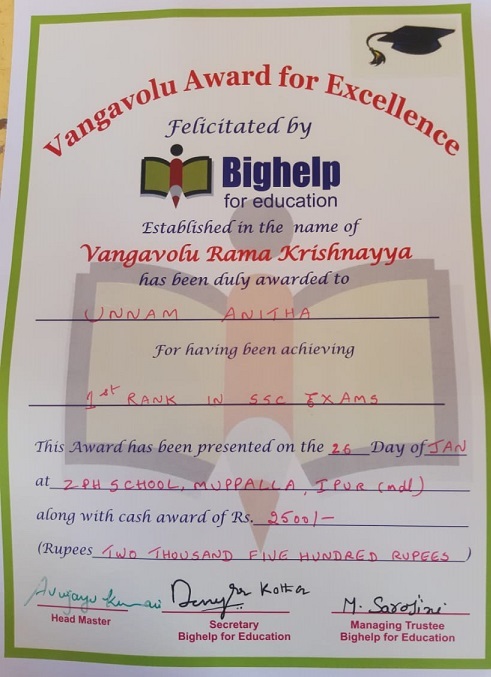 2nd Prize: U.V.S.Vasavi Katakam – Zilla Parishad High School, Muppalla – GPA 9.0 out of 10. 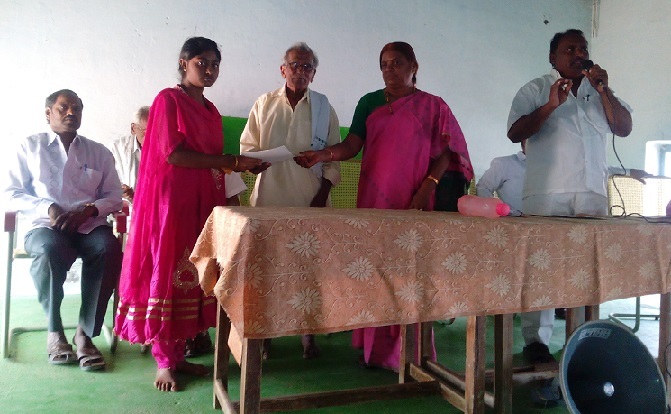 2nd Prize: Anitha Chandala – Zilla Parishad High School, Muppalla – GPA 9.3 out of 10. Two students got 2nd rank during the academic year 2012-13. Award amount was distributed equally for both winners. Below is the list of winners. 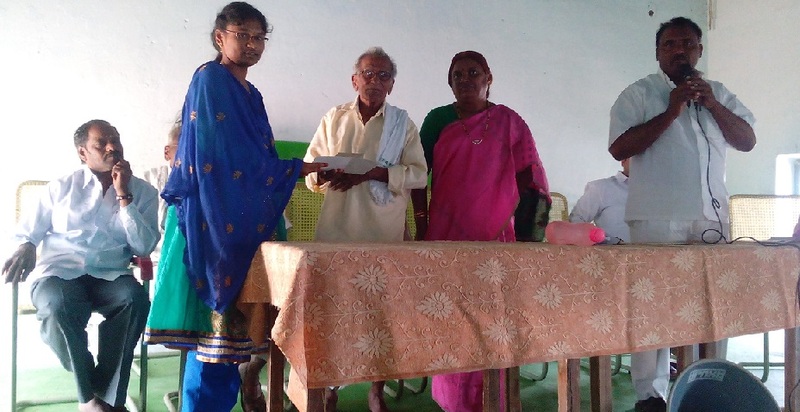 1st Prize winner : Subhashini Dande – Zilla Parishad High school, Muppalla – GPA 9.3 out of 10. 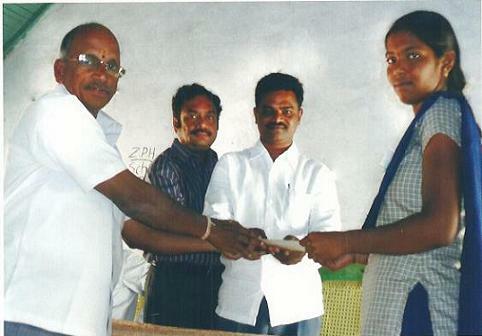 2nd Prize winner 1: Venkata Lakshmi Raparla – Zilla Parishad High school, Muppalla – GPA 9.2 out of 10. 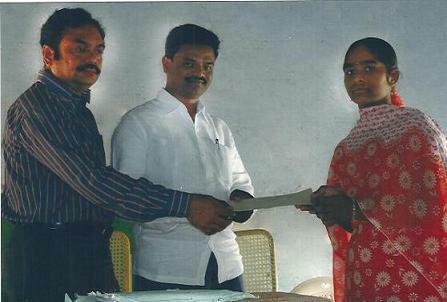 2nd Prize winner 2: Lakshmi Tirupathamma Kumba – Zilla Parishad High school, Muppalla – GPA 9.2 out of 10. 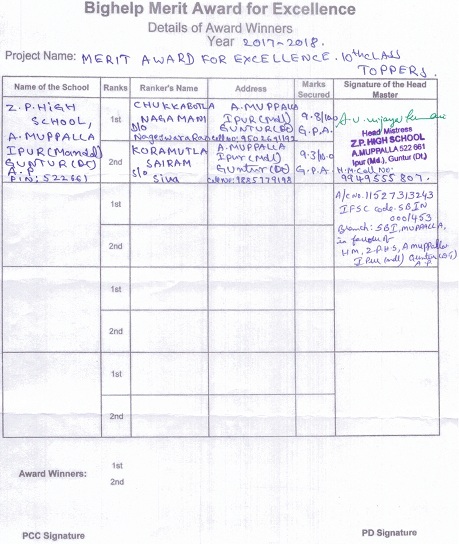 Awards were presented on 26th January 2014 by School Authorities at Zilla Parishad High school Muppalla. 2nd Prize: Raveena Chukkabotla – Zilla Parishad High School, Muppalla – GPA 9.5 out of 10. 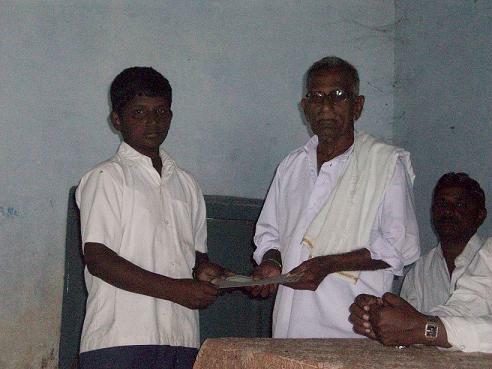 2nd Prize: Venkat Rao – Zilla Parishad High School, Muppalla – 547 marks out of 600. 2nd Prize: Anusha Kancherla – Zilla Parishad High School, Muppalla – 561 marks out of 600. 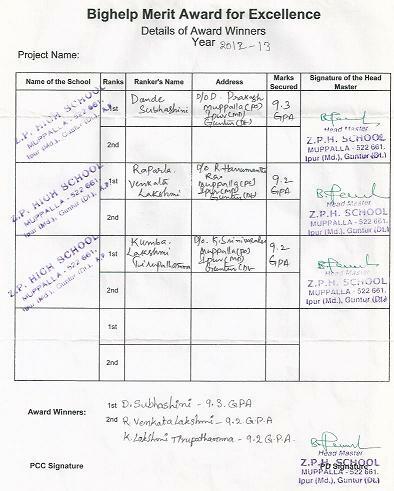 Two students got 2nd rank during the academic year 2008-09. Award amount was distributed equally for both winners. Below is the list of winners. 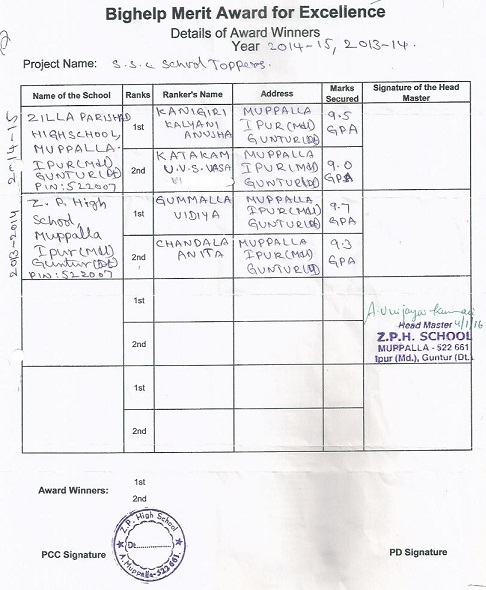 1st Prize winner : Soujanya Kolli – Zilla Parishad High school, Muppalla – 556 marks out of 600. 2nd Prize winner 1: Rama Krishna Manchala – Zilla Parishad High school, Muppalla – 547 marks out of 600. 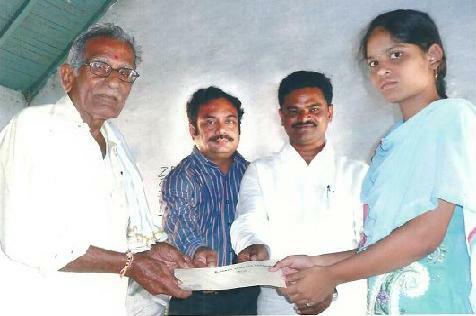 2nd Prize winner 2: Vanaja Maddineni – Zilla Parishad High school, Muppalla – 547 marks out of 600. 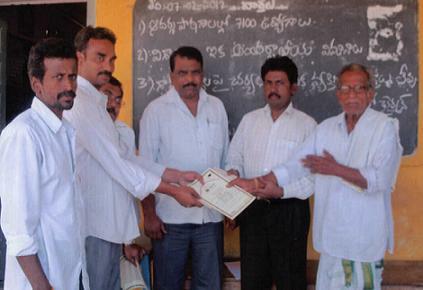 Awards were presented on 26th January 2010 by School Authorities at Zilla Parishad High school Muppalla.